In an interesting decision released March 31, 2005, the Ontario Court of Appeal at Toronto reversed a trial judgment and granted ten months' salary to a claimant whose duties as a customer service representative for a car dealership were not restored on her return from extended stress leave. Instead of reinstating the employee to her original positiion, the employer, a Peterborough Ford dealership, offered her the same salary in a different position which did not involve contact with the public. The employer contended it no longer had an available customer service position for the returning employee. "Where an employer decides unilaterally to make substantial changes to the essential terms of an employee’s contract of employment and the employee does not agree to the changes and leaves his or her job, the employee has not resigned, but has been dismissed. Since the employer has not formally dismissed the employee, this is referred to as “constructive dismissal”. By unilaterally seeking to make substantial changes to the essential terms of the employment contract, the employer is ceasing to meet its obligations and is therefore terminating the contract. The employee can then treat the contract as resiliated for breach and can leave. 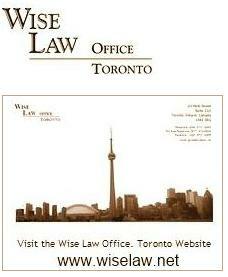 In such circumstances, the employee is entitled to compensation in lieu of notice and, where appropriate, damages. To reach the conclusion that an employee has been constructively dismissed, the court must therefore determine whether the changes imposed by the employer substantially altered the essential terms of the employee’s contract of employment. It is my conclusion that Blondeau was constructively dismissed. Holiday Ford unilaterally made a substantive alteration to the essential terms of Blondeau’s contract of employment when it did not return her to her former position as “service advisor” with the same rate of pay." 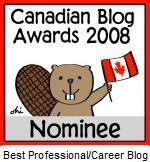 As an occasional contributor and frequent visitor to numerous politically oriented blogs from the USA, I have decided that the time has come for this distinctly Canadian voice to be heard in the blogosphere. Legal updates, politics, the media - all are fair game. If you have a comment or legal question ... fire away. 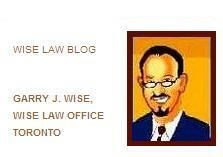 Welcome to the Wise Law Blog.